Ananya Dance Theatre and The O'Shaughnessy present "Mohona: Estuaries of Desire"
MINNEAPOLIS, MN—Ananya Dance Theatre (“ADT”) and The O’Shaughnessy will present “Mohona: Estuaries of Desire” as part of Women of Substance at St. Catherine University, Sept. 20-21, 2013. Created as a multi-disciplinary, total theater experience that invites audience participation, “Mohona” relates stories and layers images of women’s work and lives in relation to water to reflect and pose questions about access to this natural resource and the systemic violence against people that results when it is subject to private control. The stories in “Mohona” recall and celebrate historic struggles, pain, determination, and courage. 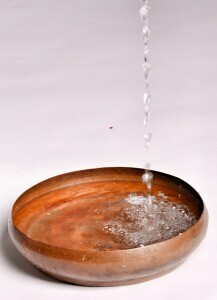 Here, water is both material, quenching thirst, and metaphor, signifying flow, femininity, and resistance. The performance space is imagined as an estuary – located at the confluence of multiple marine flows, rich in possibilities – where dancers layer breath, movement, and voice to explore the themes. 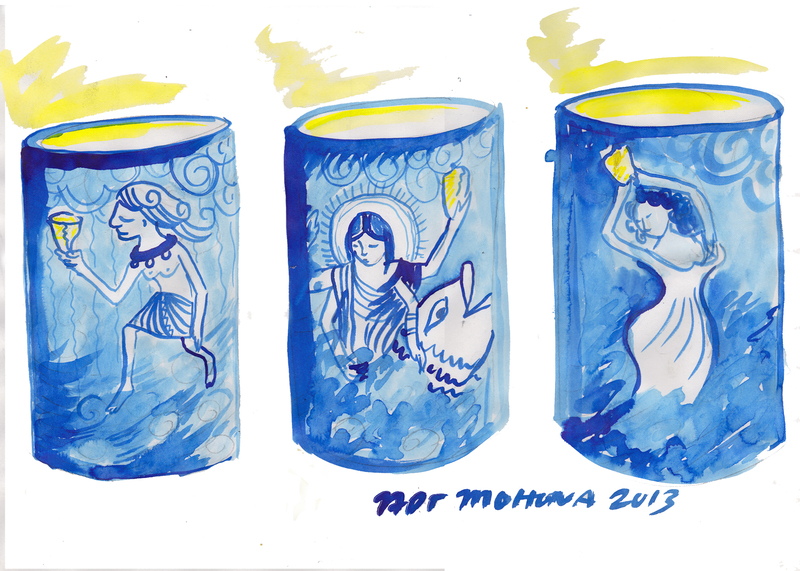 The structure of “Mohona” has four chapters: Source, Eddy, Mouth, and Procession. The voice and movement of collaborator Mankwe Ndosi provides a unifying presence in her role as Goddess of the South Seas. Four other goddesses appear throughout the dance: Oshun, the West African Goddess of Love and the Sweet Waters; Ganga, the Goddess of the Holy Ganges River; Chalchiuhtlicue, the Aztec goddess of water, rivers, seas, streams, storms, and baptism; and Mazu, the South China goddess of the sea who protects fishermen and sailors. 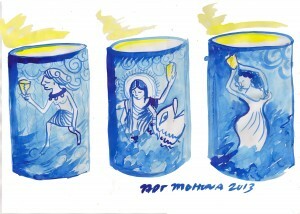 Audience members will be invited to participate in the performance by contributing a wish, a memory, a thought, or a prayer to the metaphoric river, and to join the dancers in the final Procession movement – led by the four goddess lanterns – on stage and throughout the theater in a metaphoric call to action. Choreographed by Minnesota’s Ananya Chatterjea with an original score by composer Greg Schutte, “Mohona” will feature collaborative elements by vocalists Ndosi and Pooja Goswami Pavan, lighting designer Mike Wangen, and costume and set designer Annie Katsura Rollins. “Mohona” is the concluding work in ADT’s epic, four-year investigation into systemic violence, trauma, resistance, and empowerment experienced by communities of color, using the thematic elements of mud (“Kshoy!/Decay!” 2010), gold (“Tushaanal: Fires of Dry Grass” 2011), oil (“Moreechika: Season of Mirage” 2012), and water (“Mohona: Estuaries of Desire” 2013). In addition to its Minnesota performances, “Moreechika” was presented in Port of Spain, Trinidad, in July 2012; Philadelphia, Pennsylvania, in October 2012; and Harare, Zimbabwe, in April 2013. Two performances of “Mohona” will be offered at 8pm, Friday, Sept. 20, and Saturday, Sept. 21. The run-time is approximately 90 minutes without intermission. Tickets: $27, $22, and $17 for adults; $2 off for seniors and children, and alumni, faculty, and staff of St. Catherine University and University of Minnesota. $10 day of event rush for college and high school students. Tickets will go on sale May 6, 2013. 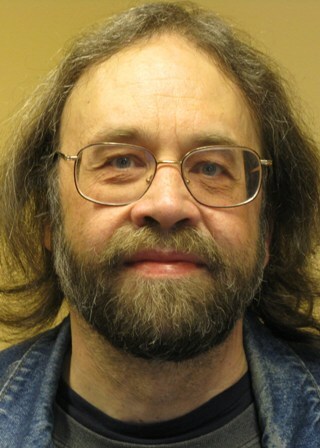 Call The O’Shaughnessy at 651.690.6700 or visit www.theoshaughnessy.com. 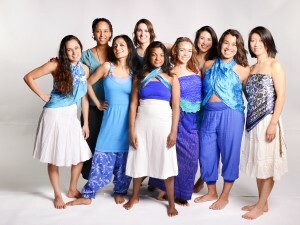 ADT, a 501(c)(3) not-for-profit arts organization based in Minneapolis, is comprised of 11 women dancers of U.S. citizenship, some native born and some naturalized. Two are of Indian origin, four are of Asian origin, and the rest are of African, Latino, African-American, Native, and European-American origin. Inspired by the commitment and passion that infuse women’s movements worldwide, ADT’s artists create dance theater that tells the stories of women’s lives with a trademark emotional intensity and physical prowess that draws upon the company’s contemporary choreographic aesthetic and technique. This aesthetic explores and celebrates feminine energy at the intersection of artistic excellence and social justice. ADT’s work offers Indian performance traditions deconstructed and reimagined in the manner of an American “vernacular.” Chatterjea seamlessly integrates the sculptural sensuality, powerful footwork, and emotional articulation of the classical Indian dance form Odissi, the pure lines and breath release of yoga, and a bodily awareness of energy in the martial arts tradition of Chhau. Audiences are invited to learn more about the dancers’ research and creative process for “Mohona” by visiting ADT’s website and blog: www.ananyadancetheatre.org/blog. 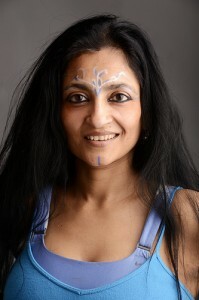 Dr. Ananya Chatterjea, a recipient of a 2011 Guggenheim Fellowship for Choreography and a 2012 McKnight Artist Fellowship for Choreography, serves as a professor and Director of Dance in the Department of Theatre Arts and Dance at the University of Minnesota, Minneapolis. Trained initially in Indian classical and folk dance traditions, she became known at a young age as a practitioner of the Odissi classical style under the tutelage of her internationally acclaimed guru, Sanjukta Panigrahi. She performed and toured widely, dancing with diverse community-based companies and government initiatives. 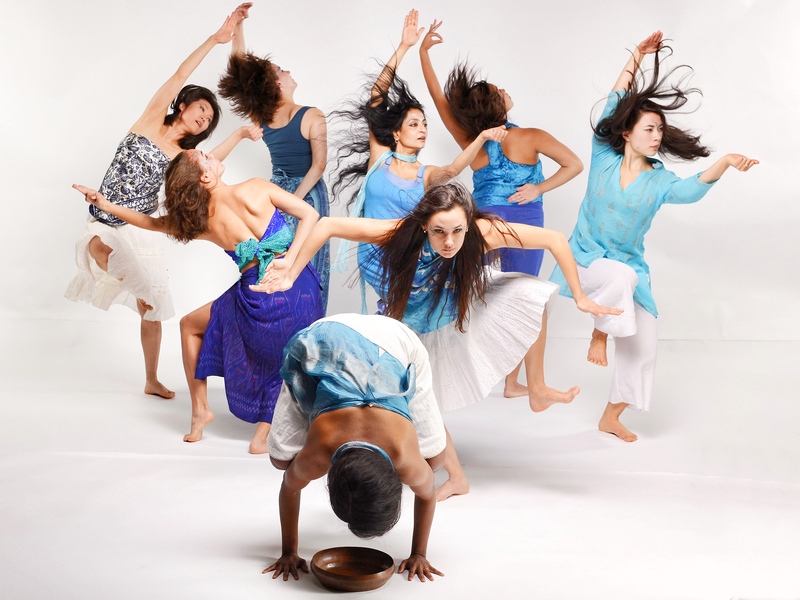 Chatterjea’s choreography has been supported by the National Endowment for the Arts, Asian Arts Initiative, Minnesota State Arts Board, and the McKnight, Jerome, and Bush foundations. Recent engagements include an artist residency at the New Waves Institute in Trinidad (2011), plenary performance at the National Women’s Studies Association Conference in Denver (2010), performances at the World Dance Event at New York City’s Dance Theater Workshop (2010), keynote address and performance at the International Conference of Pedagogy and Theater of the Oppressed (2009), teaching and performing at Bates Dance Festival (2008), performances and panel presentations at Erasing Borders Festival (NY, 2008), teaching at the American Dance Festival (2008), and performances, workshops, and master classes with The O’Shaughnessy Women of Substance Series (2008) in St. Paul. Greg Schutte is a Minneapolis-based composer, drummer, and producer. His current affiliations include the April Sellers Dance Collective and the music groups Jelloslave and the Bill Mike Co-op. In 2010, he toured Iraq and Kuwait with the singer-songwriter Keri Noble to perform for the United States troops and coalition forces. 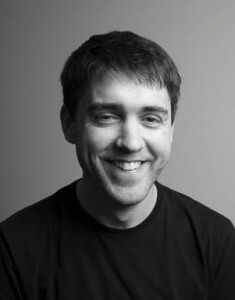 Schutte has shared stages with many artists over the years, including Lorie Line, Anthony Cox, Shane Henry (B.B. King Blues Festival, 2005), The Rule (Cyndi Lauper Summer Tour, 2007), Alicia Wiley, Sue Foley, Bernard Allison, Mary Cutrufello, Ted Nash, Yawo, and Christian Howes. Mankwe Ndosi has worked in the Twin Cities and Chicago for more than 15 years as a music maker, performer, educator and culture weaver focused on sound, story, and expanding the vocabulary of singing. She seeks to infuse creative practice back into the worlds of healing, sustainable economic development, education, and new village community building. She contributed to soundtracks for ADT’s “Moreechika,” “Tushanaal,” and “Kshoy!” Ndosi holds a BS degree from Harvard-Radcliffe Colleges, with a focus on Political and Social Theory, Economics and Women’s Studies, and Music and Performance Highlights. Her creative work has been supported by the Jerome and McKnight foundations, Minnesota State Arts Board, and American Composers Forum. Dr. Pooja Goswami Pavan is a Minneapolis based performer, composer, teacher, and scholar of Hindustani (North Indian classical) music. 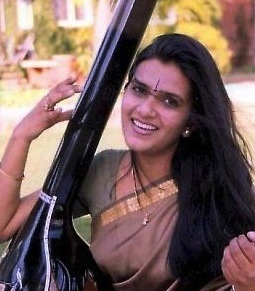 She received a Ph.D. in Music from the University of New Delhi, and also is trained in semi-classical music by Vidushi Shanti Hiranand. Pavan has performed on stages in India and Vietnam in addition to the Guthrie Theater, the Ordway Center, and The O’Shaughnessy in the Twin Cities. She serves as adjunct faculty in the School of Music at the University of Minnesota and Macalester College. Annie Katsura Rollins has designed for several ADT productions, in addition to those for Black Label Movement, Penumbra Theatre, Mixed Blood Theatre, Theater NoviMost, Teatro Del Pueblo, the University of Minnesota, and Zenon Dance Company. She holds a BA degree in Performance from Carnegie Mellon University, an MFA degree in Theater Design from the University of Minnesota, and is pursuing a doctorate in Chinese Shadow Puppetry. Josina Manu began working in production 10 years ago for artists in Philadelphia. Her subsequent venue credits range from the John F. Kennedy Center in Washington, D.C., to the Bedlam Theater in Minneapolis. This is her first season with ADT. This activity is made possible in part by a grant provided by the Minnesota State Arts Board through an appropriation by the Minnesota State Legislature.